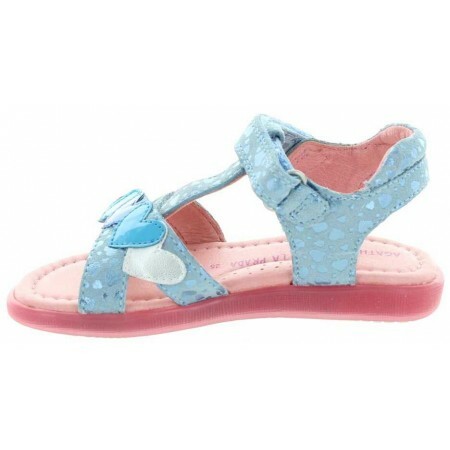 Blue metallic heart decorated fashion sandals for a girl. 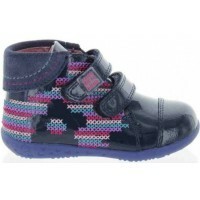 Flat foot best support for a child with high arches. Blue leather decorated with heart print. Hearts in silver, blue patent, navy hearts added for nice effect. 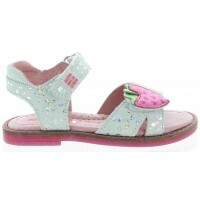 Style perfect for narrow to regural girls feet. 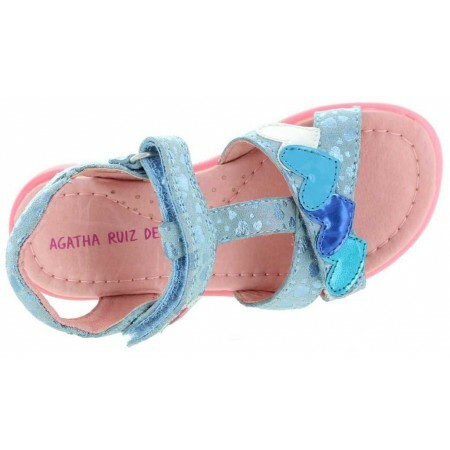 Girls sandals for narrow feetBest sandals for girls with good arch.Orthopedic high arch walking sandals White leather decorated with heart print. Hearts in red, pink, silver, fuchsia hearts added for nice effect. Fully adjustable style perfect for regura..